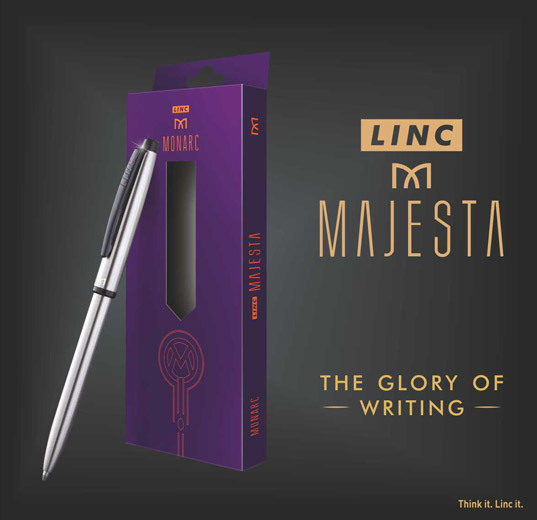 Established in 1976 by Mr. Surajmal Jalan Linc Pen and Plastics Ltd. is one of India’s most trusted writing instrument manufacturers with a pan India presence. 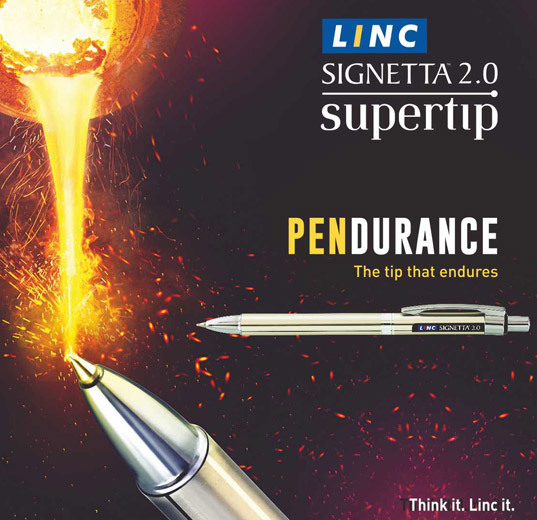 Linc Pens are known for its wide array of innovative, reliable and affordable range of stationery products. School and Office Stationery along with the newly launched range of Lemon Notebooks from the house of Linc are every literate persons sought after. 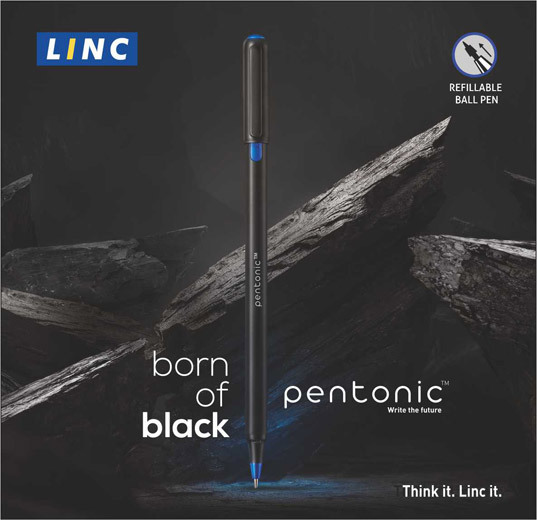 Linc Pens believes in establishing a relationship with its customer a bond that they nourish over the years. Exported to over 50 countries Linc products are popular within the country and overseas. The Company offers a range of products comprising of gel pen, ball pen, retractable ball pen and stationery. The Company’s manufacturing operations are conducted in two manufacturing facilities on the outskirts of Kolkata; a third facility has recently been commissioned in Gujarat. The certification of the manufacturing unit in Serakole was updated to ISO 9001:2015 Linc Pens went public with its IPO in 1995 which was a block buster success, putting the brand in a different league. The company also enlisted itself on NSE in 2015. Receiver of the ICICI Bank CNBC TV 18 Emerging India Award in 2005, Linc has also been recognized as a Star Export House in 2015 by Ministry of Commerce.